Mike is Head of our Litigation & Dispute Resolution Team. He is a highly experienced commercial litigator, providing measured and practical advice on a wide range of business disputes and leading an effective team of committed lawyers. 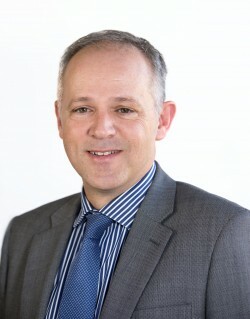 Mike’s areas of expertise include advising on commercial contracts, shareholder and partnership disputes, franchise disputes, professional negligence, intellectual property infringement, passing off, breach of confidence, injunction proceedings and construction disputes. Mike has extensive experience in acting for clients in High Court cases, commercial arbitrations, adjudications and mediations. Supported by his team, Mike also provides valuable support to the firm’s Regulatory Team including advising in connection with civil claims arising from investigations by The Health and Safety Executive and Department for Business, Energy and Industrial Strategy. Outside of work, Mike’s interests include sailing and cycling. When you (and the world around you) seem to be losing your way I would have no hesitation on referring a potential client to Mike Barlow. Mike is one of the most calm and thoughtful people I have met within in the legal world. His professionalism, advice and words of wisdom have been key to helping me through the issues I have faced. His honest and measured approach will leave you feeling prepared and confident that your matter is in the right hands. Countrywide Signs has benefited from its association with Mike Barlow and the Leathes Prior Franchise Team for the best part of 20 years. Mike is professional, approachable and helpful and his support is second to none. I cannot recommend Mike too highly. A raft of litigation experience including franchising and construction disputes. Sound commercial business sense. A solid commercial background...deals well with complex disputes between franchising parties. He is said to be renowned for his work with long-established franchise networks. Clients say he is just exceptional. He has a sound commercial sense, grasps what we tell him, and is always available. Remains popular with clients for advice on partnership disputes, agricultural disputes, shareholder disputes, directors' duties claims and breach of contract claims. Fights hard for his clients. Clients heartily recommend Leathes Prior for Commercial Litigation, where Mike Barlow is extremely professional in his application, extremely approachable and to the point. Impresses with his tactical and commercial flair. Avidly and expertly fights for his clients’ interests. Efficient and responsible, providing sensible commercial advice. Extensive experience in franchising and licensing. He is highly professional, knowledgeable and aware of our business needs. A leading light for his knowledge and ability. Mike is modest, easy to deal with and very good with clients. Led by litigation partner Mike Barlow and draws on the strengths of an experienced, multidisciplinary team to advise many of the largest schools and universities in the region. He has knowledge of every case and knows the law well.